The past month has been a period of great renewal in my life, both material and mental. The following two posts will focus on the former, and some of the observations I’ve gathered on my quest to update my gear to the current versions of the modern day. This post is all about who I gave my business to and why, then in part two I geek out a bit about the items I bought and their intended purpose. I’ve been performing music as a side job for years, but recently I decided it was high time to finally get serious about my musical product and making my passion a full-time enterprise. For reasons I’ll discuss in part two, I soon realized that a complete equipment overhaul was the only place to start. This presented an opportunity to walk the talk in line with the Transition-inspired lifestyle I’m seeking to adopt and spread. Basically, the thought process revolves around the idea of conscious consumerism. If I’m going to be a consumer of musical products, how do I make it most beneficial to my community and the environment? What are the potential broader impacts of my spending choices? I wasn’t interested in totally inconveniencing myself or paying too much just to make a point. It’s more about taking a little time to think about the consequences of our actions. You might end up buying the same products from the same purveyors every time, and that’s fine. But just the act of consciously evaluating our decisions makes all the difference in the world. Fortunately, my decisions were pretty easy to pin down thanks to the proximity of and principles held by Sweetwater Sound Inc. I will concede that it’s rather opportune for this example to have one of the largest online music gear retailers in the country stationed a mere two hours away from me in Fort Wayne. But it’s more than just shipping distance that makes locality an important factor to consider. 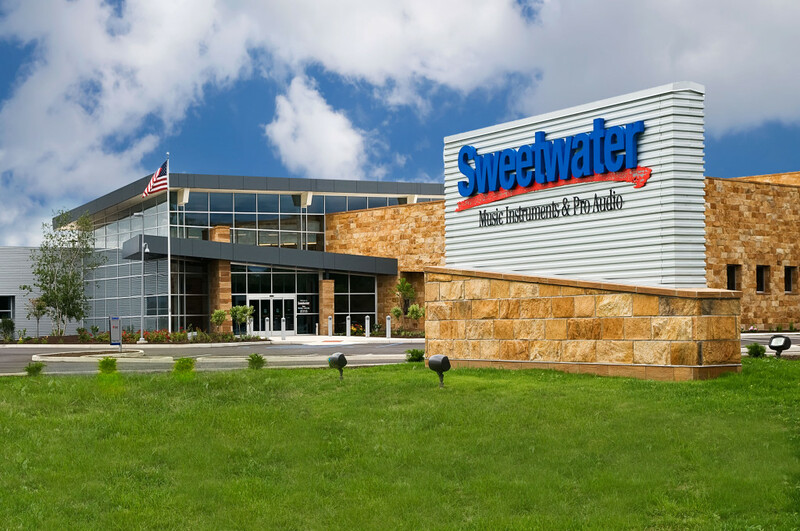 Sweetwater is still headed up by the same guy who founded it back in 1979, Chuck Surack, who originally started the company as a musician and studio owner that recognized the need for a good pro audio and instrument dealer in the area and stepped up to the challenge. He continued to grow the business over the next 35 years, and now he has 800 employees. The point is, it’s not the size of the company. It’s who owns it and where the workers reside. I know that the vast majority of the money I spent will be going no further up the ladder than Chuck. Almost every dollar of my purchase will be distributed in some fashion to Chuck and his employees, whom I assume most of which live in or around Indiana. That ensures that a greater portion of my money will be recirculated in my general region, therefore helping to stimulate my local economy. As it happens, the shipping turned out less than optimal, since FedEx routed it through Chicago before trucking it back down to Lafayette. But I have no control over FedEx’s operations. I did my part to prevent a cross-country trek, and that’s all I can do. Perhaps FedEx will read this and say, “Hey, we can cut costs by shipping more direct!” It never hurts to throw out ideas. That’s how big changes get made. 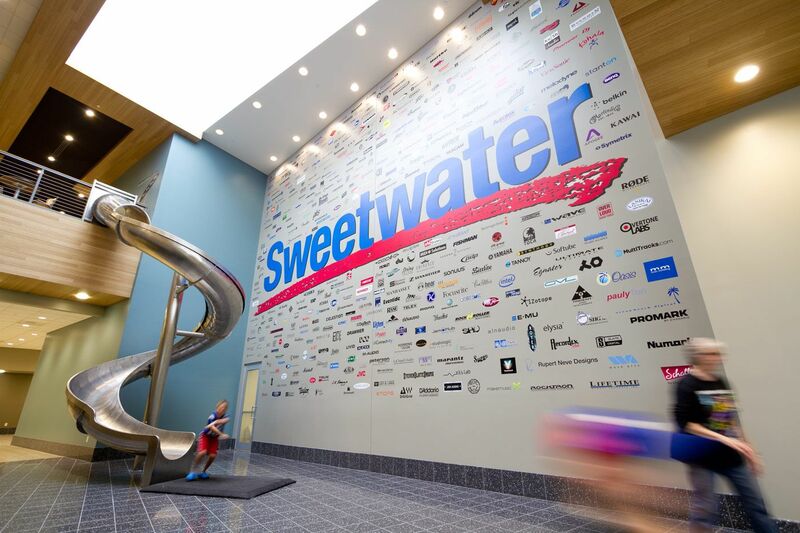 Another reason Sweetwater was a no-brainer for me is that their ridiculously sweet digs happen to be one of the most Earth-friendly construction projects ever assembled in Indiana. As one of the state’s very few facilities to earn a LEED Platinum certification from the Green Building Council, the place saves energy and conserves water like a boss, and most of the building materials were sourced locally, recycled, or cut from rapidly renewable woods. Any company that cares enough to achieve LEED Platinum has higher ideals than pure profit. Sweetwater claims a commitment to “doing the right thing,” and judging from my experience with them, they’re doing a good job of it. In fact, it’s probably the best customer service I’ve ever received from any company. I got a call 30 minutes after purchase to go over my order, another to confirm shipment, and a third post-delivery to make sure everything was right. I highly recommend them, even if they don’t fit all the conscious consumer criteria for your particular situation. I’m fully aware how easy it is to dismiss these efforts as too minuscule to matter, and standing alone they practically are. But if everyone started incorporating this line of reasoning into their spending habits, it would have a huge collective impact on the strength of our towns and the health of our planet. In part two, I’ll talk about what I bought, why I had to, and how I plan to use it all.